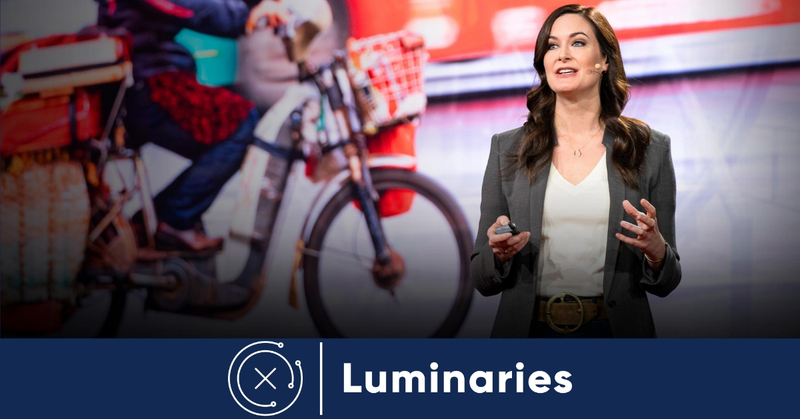 ASHEVILLE, N.C., Feb. 11, 2019 — Author, speaker and strategist Katharine Wilkinson will lead an insightful and inspirational discussion about our climate journey on April 2 at 7:00 p.m. at the Diana Wortham Theater as part of The Collider’s 2019 Climate City Expo, CCx: Luminaries track. Tickets are available for sale online and at the Diana Wortham Theater box office in downtown Asheville. Katharine has made it her life’s work to explore, amplify and invigorate action to address climate change. As one of the most sought-after speakers at last year’s climate conference, The Collider is delighted to have her return to Asheville for CCx 2019. “Asheville has become a vibrant hub for exploring and, most importantly, taking climate action. I couldn’t be more excited to come back this year to take part in the conversations The Collider will catalyze,” says Katharine. Katharine is the Vice President of Communication and Engagement at Project Drawdown, where she is advancing the organization’s message, reach and influence around the world. She was also the lead writer for the New York Times bestseller “Drawdown: The Most Comprehensive Plan Ever Proposed to Reverse Global Warming.” Her expertise has been featured in programs on The Weather Channel, by Aspen Ideas, Skoll World Form, Talks @ Google and on numerous radio shows and podcasts. The Collider’s Climate City Expo provides a variety of opportunities to explore innovation at the forefront of climate adaptation and resilience. CCx 2019 will take place from March 29 through April 7, 2019, in Asheville, North Carolina. The heart of the Expo is CCx: Business — a convening of global leaders and visionaries to discuss solutions to humanity’s biggest challenge. However, CCx 2019 features additional programming to engage our next generation of climate leaders and the public in different tracks. From CCx: NextGen to CCx: Eats, these tracks will showcase the way our communities are rising to the challenge of climate change.